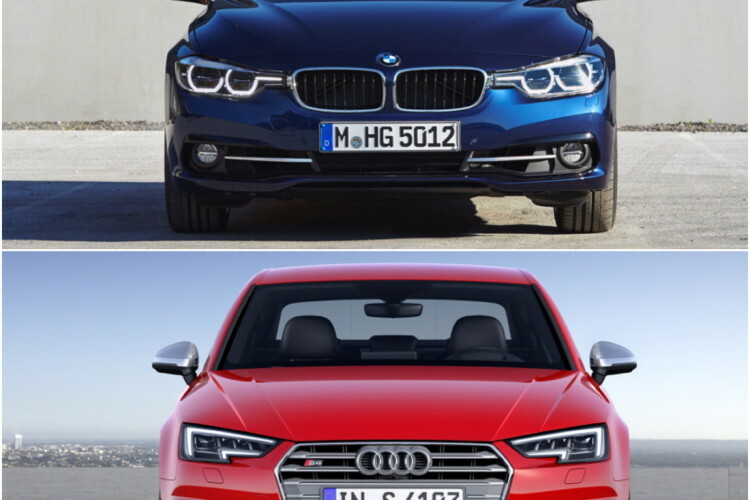 The BMW 340i, which has recently replaced the 335i, has some seriously stiff competition at the moment. The Jaguar XE S and Mercedes-Benz C400 have come along, threatening the BMW 3 Series’ crown in rapid succession. Well, it appears that another contender has come along and it could be BMW’s toughest yet. The all-new Audi S4. Based on the new B9 Audi A4, the S4 is considerably lighter than the outgoing car, as its chassis is based off of Audi’s new MLB platform. At 3,594, the new S4 is almost 500 lbs lighter than the outgoing model and also just a tick liter than the BMW 340i’s 3,600 lbs or so. Steering and suspension have also been heavily revised to provide a more supple ride as well as more dynamic handling. Audi has gone through great lengths in designing the chassis and suspension, so the S4 has five-link front and rear suspension, similar to the setup on the Jaguar XE S that is so currently loved. 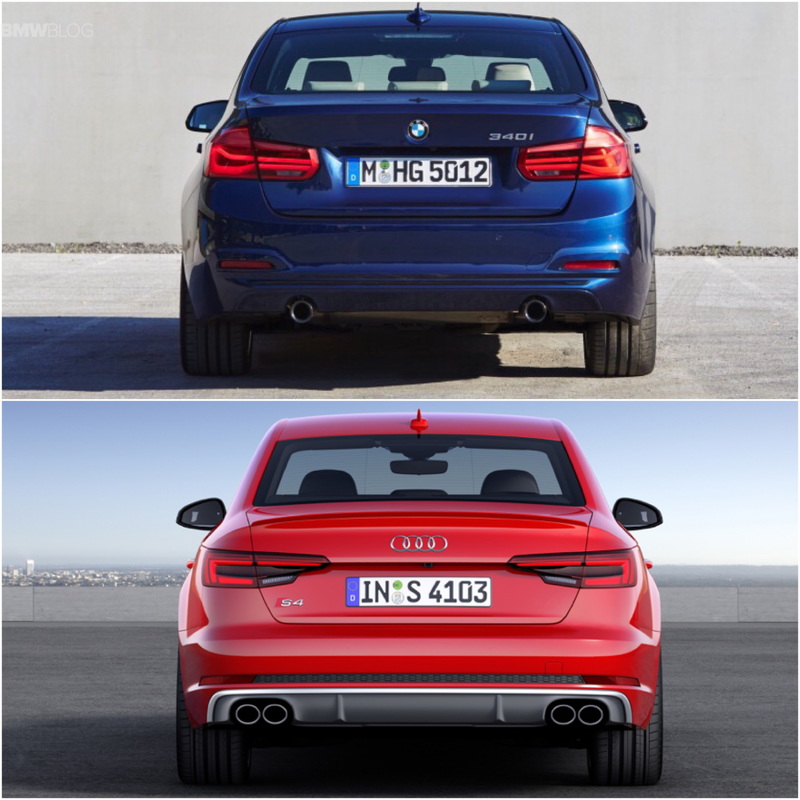 Along with its newfound handling dynamics, the S4 will pack a 354 hp punch from its 3.0 liter turbocharged V6 engine. Its 354 hp is 34 more than the BMW’s 340i. The Audi S4 also packs 369 lb-ft of torque, or 39 lb-ft more than the BMW 340i. With more power, more torque, just a bit lighter weight and revised handling dynamics, it’s entirely possible that the S4 could be the better performer. Though, despite the horsepower deficit, the BMW 340i is claimed to get from 0-60 mph in 4.4 seconds while the Audi S4’s claimed 0-60 time is 4.7 seconds. We all know how German automakers like to underrate their engines and performance figures, so we’ll have to wait and see how these two perform against each other in person before making any claims as to which is the faster or better performing car. In terms of looks, both cars look pretty standard for their respective brands. The Audi S4 looks very typical Audi S4. However, when looking at it in contrast with the previous model, it does look very good. The new headlights and 3D single-piece grille look very sharp. The BMW 340i is a handsome car as well, but doesn’t do too much to distinguish itself as the hottest 3 Series without an M badge. The new Audi S4 I think has the edge in terms of looks, but it’s possibly only because the design is fresh while the 340i’s is a bit older. In terms of interior, the 340i’s is very good, with excellent ergonomics and high-quality materials. However, in terms of design, the Audi S4 has it beat. 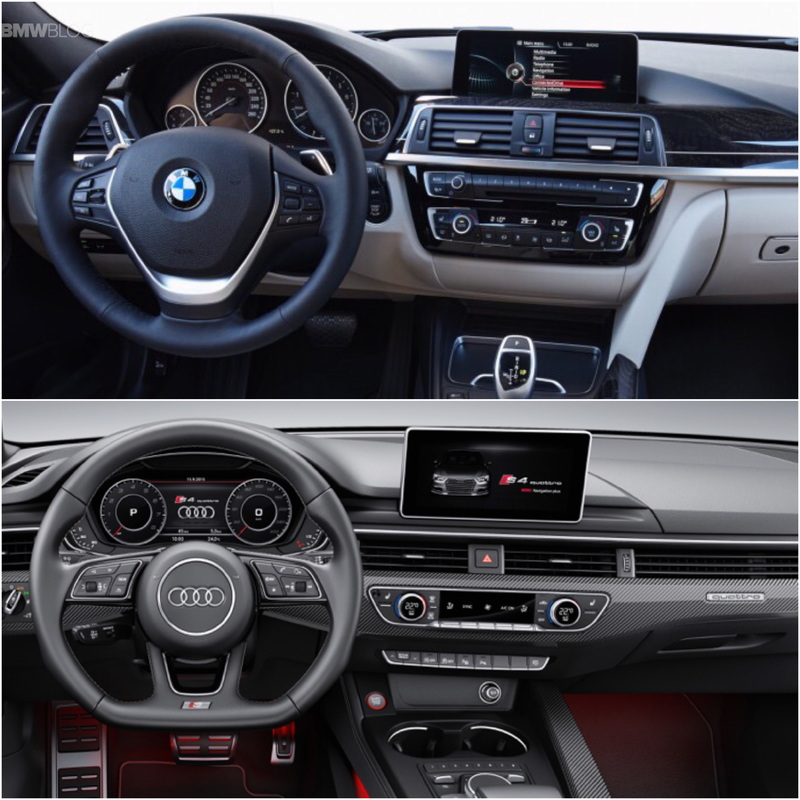 The S4’s interior is fantastic and modern. The Virtual Cockpit digital gauge cluster is also a huge plus. Though, I feel the BMW’s nav screen is better integrated into the dash, while the S4’s has the new “stuck-on-dash” style that so many automakers seem to be using lately (*cough* Mercedes). But overall, the Audi S4’s interior seems to be the more attractive. Obviously, numbers and interior design only tell part of the story. Driving feel, enjoyment and excitement are far more important that anything else that can be measured with numbers. 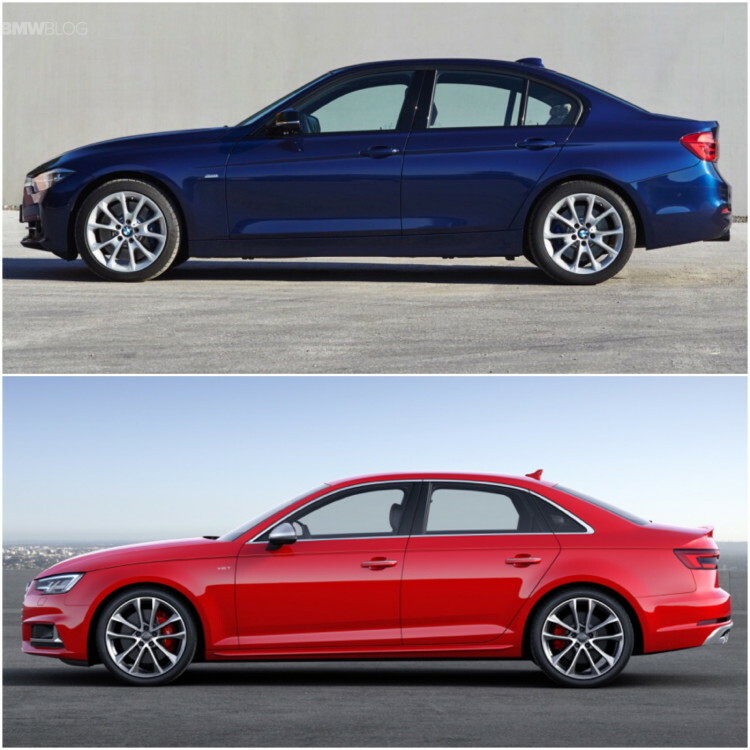 The Audi S4 won’t be going on sale in the U.S. until 2016, so it will be some time before these two cars can be put to the test against each other. It will be very interesting to see which is the better car. 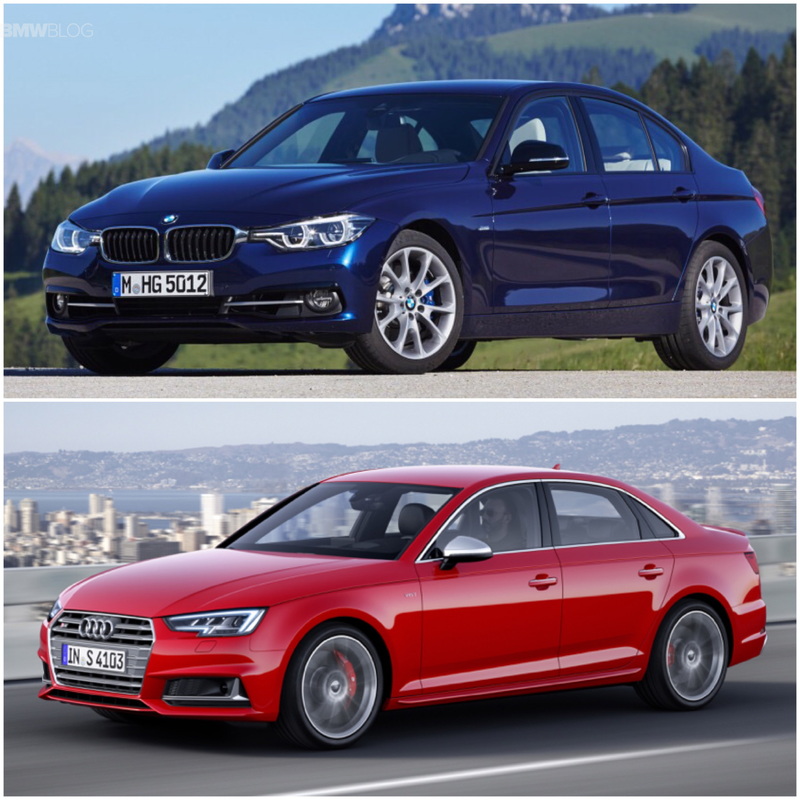 With the Audi S4 adding to the list, which already contains the Jag XE S, of cars contending for the 3 Series’ crown, the BMW 340i is going to have a hard time keeping it on its head.